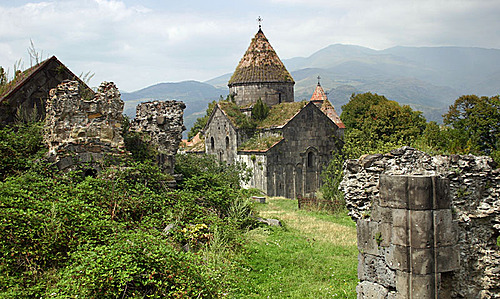 The name Sanahin literally translates from Armenian as "this one is older than that one", presumably representing a claim to having an older monastery than the neighbouring Haghpat Monastery. 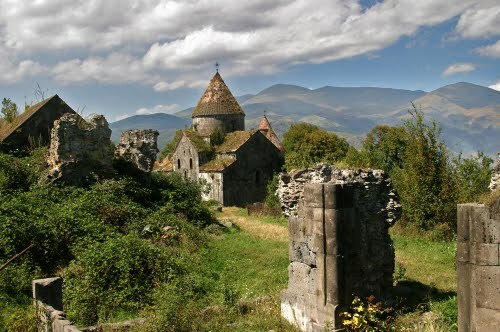 The two villages and their monasteries are similar in many ways, and lie in plain view of each other on a dissected plateau formation, separated by a deep "crack" formed by a small river flowing into the Debed river. 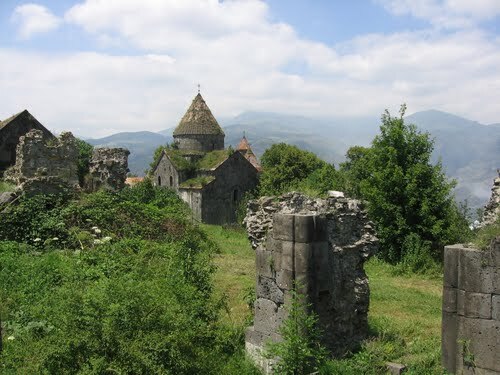 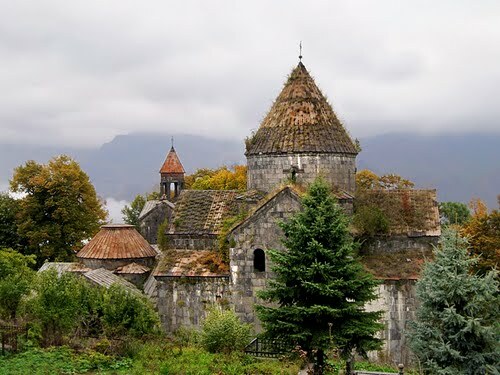 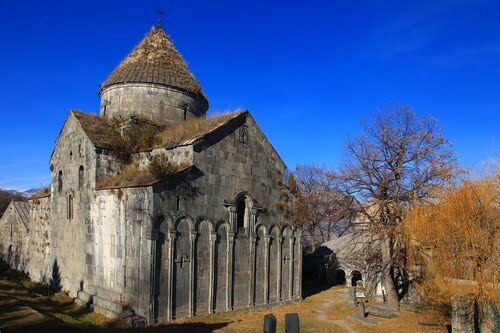 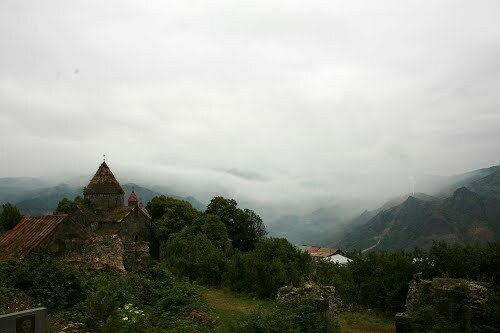 As with Haghpat, Sanahin is frequented by an increasing number of tourists, due to its recent inclusion on the itineraries of a great number of Armenian tour agencies, the beauty of its monastery complex matching that of Haghpat's. 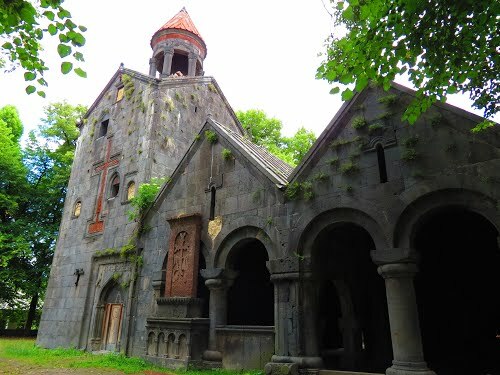 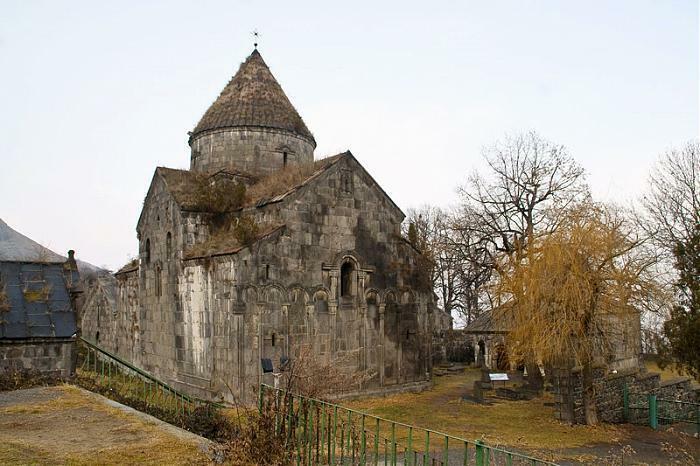 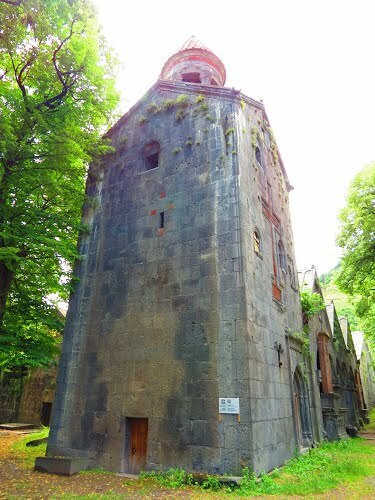 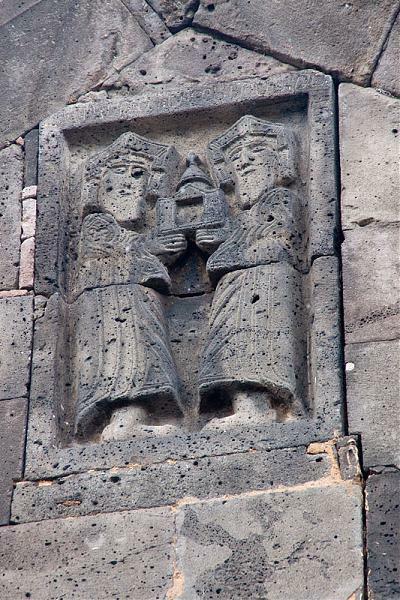 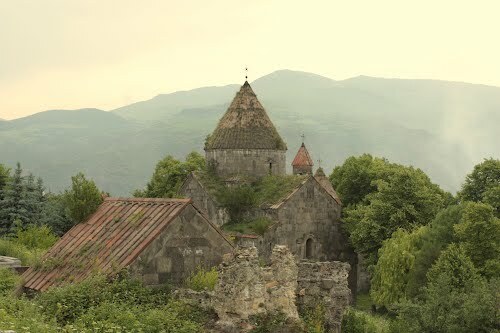 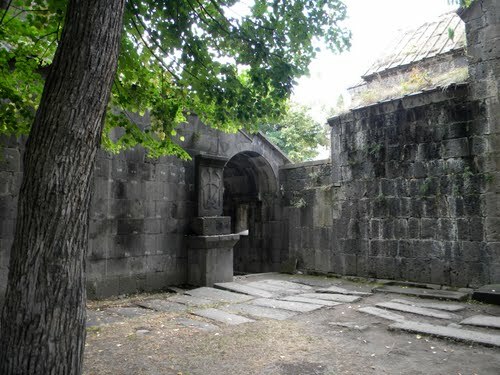 The complex belongs to the Armenian Apostolic Church with numerous khachkars (stones with elaborate engravings representing a cross) and bishop gravesites scattered throughout it.